Closing Date: 30th of every month. Description: Scholarship is open to legal residents of the 50 United States and the District of Columbia who are 13 years of age or older and are currently enrolled (or have been accepted to enroll) in an accredited post-secondary institution of higher learning. Applicant must create a blog post about digital marketing. Description: Scholarship is open to high school seniors and students currently enrolled in college, trade school or university. Applicant must submit an essay on a given topic related to digital marketing. Description: Scholarship is open to students pursuing undergraduate or graduate study at an accredited institution of higher learning in the United States. Scholarship recognizes individuals who demonstrate commitment to community service and use the creative arts to help reduce tobacco use in priority under served populations. Description: Scholarship is open to students 13 years of age or older who are legal residents of the 50 United States or the District of Columbia and are currently enrolled (or will enroll no later than the fall of 2023) in an accredited post-secondary institution of higher education. Applicant will need to submit a short response to a given prompt. Description: Scholarships are open to graduating high school seniors who have made an outstanding, documented contribution to his or her local community through the creation of or involvement in a Becca’s Closet chapter or Becca’s Closet organized through a supporting organization. Description: Scholarship is open to current graduating high school seniors with acceptance to an accredited school or an undergraduate student at an accredited institution within the United States. Applicant must submit an essay on why they are a good candidate for the scholarship. Description: Scholarship is open to U.S. citizens 16 years of age and older who are either in their senior year of high school or currently enrolled in an accredited institution of higher learning. Applicant must submit an essay on a given topic related to a county office. Description: 70% of people who need a bone marrow transplant rely on a complete stranger for a donation. Beyond that, black people and other people of color have a much harder time finding a donor match. Share a digital guide about the importance of joining the bone marrow registry with three friends for your chance at the scholarship. Description: Scholarship is open to current undergraduate and postgraduate students. Applicant must submit an essay on a given topic related to internet marketing. Description: Scholarship is open to current college students and incoming freshmen enrolled in an undergraduate or graduate degree program in a Spring, Summer, or Fall 2017 semester. Applicant must submit an essay on a topic related to be an entrepreneur. Description: Scholarship is open students who are at least 18 years of age by the entry deadline and have been accepted to an accredited post secondary undergraduate program or college located in the United States. Applicant must submit an essay on a given topic related to superheroes. Description: Scholarship is open to students who will be enrolled as a college/university student within the United States starting fall 2017. Applicant must submit an essay on how the company can engage customers in the future. Description: Scholarship is open to high school seniors, undergraduate and graduate students who are interested in studying theatre arts. Applicant must be a legal resident of Alaska, Arizona, California, Hawaii, Idaho, Montana, New Mexico, Oregon, Utah, or Washington. Description: Scholarship is open to U.S. citizens who are enrolled in an undergraduate or graduate program at an accredited American university who want to be entrepreneurs. Applicant must share what area or industries provide the greatest opportunities for small business owners. Description: Scholarship is open to Hispanic students who are currently attending a LatPro registered school (see website for list of eligible schools). Applicant must submit an essay or video on a given topic related to their academic major. Description: Scholarship is open to African-American high school seniors in the United States. Applicant must be planning on pursuing careers in the health care profession. Description: Scholarship is open to high school juniors and seniors and current undergraduate students. Applicant must submit an essay or video on a given topic related to distracted driving. Description: Nearly half of Americans don’t regularly recycle their beauty and personal care products. That’s a major reason these items account for a significant amount of landfill waste. Create a fun bathroom recycling bin that encourages people to recycle their empty beauty and personal care products. Use the tips provided to make an eye-catching bin and place it in a bathroom near you for a chance to win the scholarship. Description: Scholarship is open to graduating high school seniors and current undergraduate and graduate students worldwide. Applicant must submit an essay on how sports can contribute to your life. Description: Applicant must be a graduating high school senior or currently enrolled in a college of business with a 3.0 GPA. Applicant must submit an essay related to their desire to be a business owner. Description: Scholarship is open to graduating high school seniors and current college students who have plans to have a career focused on one aspect of art or design. Description: Scholarship is open to graduating high school seniors and current undergraduate students who will be enrolled in undergraduate study during the 2017-2018 academic year. Applicant must be majoring in Business, Marketing, or Communications fields. Applicant must submit an essay or video essay answering two questions relating to digital marketing. Description: Scholarship is open to incoming and current law school students. Applicant must share why they think they deserve the scholarship and why they want to be a lawyer. Description: Scholarship is open to students accepted into an accredited college or university in the United states who have at least a 3.0 GPA. Applicant must submit an essay giving advice on a given topic relating to entering into a global market. Description: Scholarship is open to current undergraduate and post-graduate students who are legal residents of the U.S. or hold a valid student visa. Applicant must submit an essay on a challenge, trial or struggle they have overcome. Description: Scholarship is open to graduating high school seniors and college freshmen, sophomores, and juniors. Applicant must submit an essay on a given topic related to feminism. Description: Scholarship is open to graduating high school seniors who are living with a terminally ill parent and have demonstrated a compelling personal and financial need. Applicant must submit a video answering given questions. Description: Scholarship is open to currently enrolled undergraduate and graduate students who earned no more than $35,000 in the year 2015. Applicant must submit an essay or video on one of three given personal topics. Description: Scholarship is open to students who will be enrolled in a degree program (two years in length or greater) by September. Applicant must submit an essay on a topic related to safety procedures and how they can prevent an injury. Description: Scholarship is open to any American citizen who will graduate from high school before July 1, 2017. Only students who have a 3.0 GPA or higher and are seeking a law-related degree may apply for the scholarship. Description: Scholarship is open to students of Latino descent who are graduating high school seniors. Applicant must be planning to start their studies at higher educational institutions in Arizona and California. Applicant must demonstrate academic excellence, leadership in extra-curricular activities, a commitment to volunteer service in the community and financial need. Description: Scholarship is open to undergraduate students in the United States and Canada who want to attend pharmacy School. Description: Scholarship is open to incoming freshmen and college students who will attend a college, community college, four-year college/university or law school and whose parent(s) did not complete any post high school education. Description: Scholarship is open to graduating high school seniors and current undergraduate students who will attend an accredited college full-time in Fall 2017. Applicant must create a business plan for an organization designed to make an impact or solve a problem that’s important to them. Description: Scholarship is open to U.S. residents who are graduating high school seniors or college freshmen, sophomores, or juniors. Applicant must submit an essay on a given topic related to dogs. Description:Scholarship requires an essay on how innovative technologies are transforming our lives. For the Spring semester the topic is: “The future of technology in education”. The best submission will be awarded $2,000 while the two runners-up will receive $500 each. 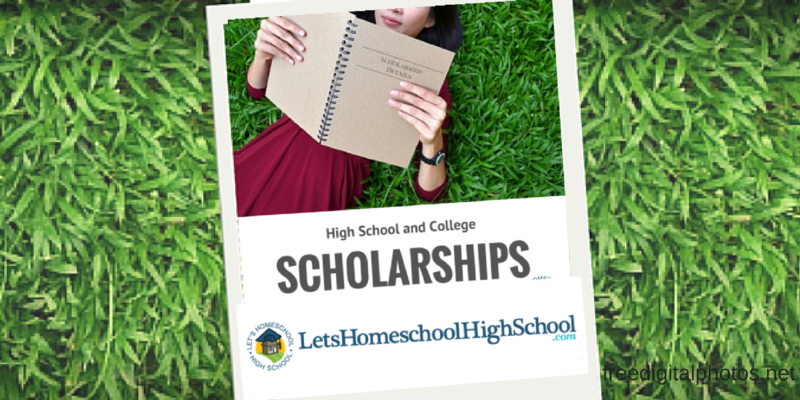 Description: ScholarshipPoints is free to join, fun to participate in, and provides you with the opportunity to win thousands of dollars in scholarships. Description: Scholarship is open to incoming and current college students. Applicant must submit an essay describing the career they want to pursue and how their education can contribute to the American Dream. Description: Scholarship is open to U.S. citizens and permanent residents who will be enrolled full-time in an accredited community college, college or university, or accredited law school in the fall of 2017. Applicant must submit an essay or video on overcoming a life-changing adversity. Description: Scholarship is open to U.S. citizens and permanent residents who are graduating high school seniors or current undergraduate or graduate students. Applicant must submit a video between 15 seconds and three minutes that inspires people and gets them to smile along with your application. Description: Scholarship is open to high school seniors who plan to enroll in full-time undergraduate study at an accredited two-year or four-year college or university for the entire 2017-18 academic year. Applicant must also be planning to pursue a forestry course of study or related major (Forestry, Plant Sciences, Horticulture, Entomology, Environmental Science or other related majors). Description: Scholarship is open to anyone who will be enrolled at a college or university for the 2017 academic year with at least a 3.25 GPA. Applicant must submit an essay on a given topic related to their community’s health. Description: Scholarship is open to students heading to college, or an automotive trade/vocational school in 2017 or current freshmen and sophomores. Applicant must submit an essay on a given topic related to electric vehicles. Description: Scholarship is open to U.S. citizens who are incoming or current college students. Applicant must submit an essay on divorce law, child custody, or divorce mediation. Description: Scholarship is open to students attending a U.S. college or university on a full-time basis. Applicant must submit an essay or video on a given topic related to age. Description: Scholarship is open to students enrolled in the Fall of 2017 in full-time undergraduate or graduate studies. Applicant must be pursuing a career in landscape design/golf course architecture, golf course turf grass management/golf course superintendent, professional golf management, club professional, or sports journalism with a special interest in golf. Description: Scholarship is open to graduating high school seniors and current college students who have an interest in studying law. Applicant must have at least a 3.0 GPA and must demonstrate a genuine need for the funds. Description: Scholarship is open students pursuing a career in perioperative nursing and to registered nurses who are continuing their education in perioperative nursing by pursuing a bachelor’s, master’s or doctoral degree. Description: Scholarship is open to graduating high school seniors and current college students who will be enrolled in a college/university in 2017. Applicant must submit an essay on how their family contributed to who they are today. Description: Scholarship is open to legal residents and citizens of the United Kingdom, United States, and Canada who have been accepted to study full-time at an accredited college or university with at least a 3.0 GPA. Special consideration will be given to students pursuing a course in fitness, health or sports (e.g. physiotherapy, sports science, nursing, and health sciences). Applicant must submit an essay on a topic relevant to fitness and nutrition. Description: Scholarship is open to students currently attending or planning on attending a post-secondary institution in Canada or the U.S. in the fall of 2017. Applicant must submit a short story of 2,000 words or less from the viewpoint of an inanimate object. Description: Scholarship is open to U.S. citizens authorized to work in the U.S. who will be attending a college/university in Fall Semester of 2017. Applicant must submit an essay on a given topic related to drug or alcohol addiction. Description: Scholarship is open to U.S. citizens who plan to or are currently enrolled full-time as an undergraduate at an accredited U.S. four-year college or university for the entire academic year. Applicant must have studied one or more of the Chinese Martial Arts – Kung Fu, Wu Shu, or Tai Chi – for a minimum of five years. Description: Scholarship is open to students seeking an undergraduate degree in food science or a related field. Applicant must also be an All Star member, dependent of a member, or an employee/dependent of an All Star Member. Description: Scholarship is open to students with hemophilia A or B who are high school seniors with aspirations of attending an institute of higher education. Description: Scholarship is open to accepted and current undergraduate and graduate students with at least a 3.0 GPA who have an interest in an automotive career. Multiple scholarships available. Description: Scholarship is open to high school students from Texas. Applicant must share an experience that has changed his or her life, entrepreneurial goals, and their passions. Description: Scholarship is open to minority female students who are enrolled full-time in a geosciences program. Sponsor: Babe Ruth League Inc. Description: Scholarship is open to high school seniors and current college students. Applicant must have participated in a Cal Ripken Baseball, Babe Ruth Baseball or Babe Ruth Softball League anytime during the ages of 4-18. Description: Scholarship is open to students ages 16 to 21 years of age who will be attending an institution of higher education in the Fall of 2017. Applicant must submit two essays. One essay is on a given topic related to the information and communications technology industry. The second essay must explain why the applicant believes a college/university education is important. Description: Scholarship is open to students currently enrolled as an undergraduate or postgraduate student in either Business, Marketing, or IT. Description: Scholarship is open to students enrolled full-time at a college or university located in the United States. Applicant must submit an essay on one of two given topics related to running an online business or choosing a career path. Description: Scholarship is open to U.S. citizens and eligible non-citizens who are residents of the District of Columbia under the age of 24. Applicant must be an incoming or current undergraduate student. Description: Scholarship is open to graduating high school seniors and currently enrolled undergraduate students who will be enrolled during the 2017-2018 school year. Applicant must submit an essay on a given topic related to burglary or crime. Description: Scholarship is open to students currently attending college or planning to attend college the Fall 2017 semester. Applicant must pledge to not text and drive. Description: Scholarship is open to high school seniors and current undergraduate and graduate students. Applicant must submit an essay on a good decision they have made. Description: Scholarship is open to students enrolled in college, universities or high school during the fall 2016 academic semester. Applicant must submit an essay on a given topic related to internet marketing. Description: Scholarship is open to graduating high school seniors and current undergraduate and graduate students who aspire to live healthy, active lives while in college. Applicant must submit a video on their favorite memories with a bicycle. Scholarship is open to international students who will be attending a U.S. college. Description: Scholarship is open to accepted and enrolled undergraduate and law school students who are committed to supporting their local communities by volunteering their time in furtherance of the issues that matter most to them. Applicant must submit an essay on a given topic related to volunteering. Description: Scholarship is open to graduating high school seniors who are planning to attend a full-time undergraduate program at an accredited four-year college/university with a major related to the life sciences. Applicant must have at least a 3.3 GPA. Description: Contest is open only to those who have not professional published a novel or short novel, or more than one novelette, or more than three short stories, in any medium. Description: The best applications will be creative, expressing your thoughts clearly and concisely, and avoid grammatical or spelling errors. The online post must also include a link from your website or blog to the Edkent Media website (https://edkentmedia.com). Contest is open to students in accepted or enrolled in university.